WhiteRock Wildfire Jewelry Theme* (See description below). 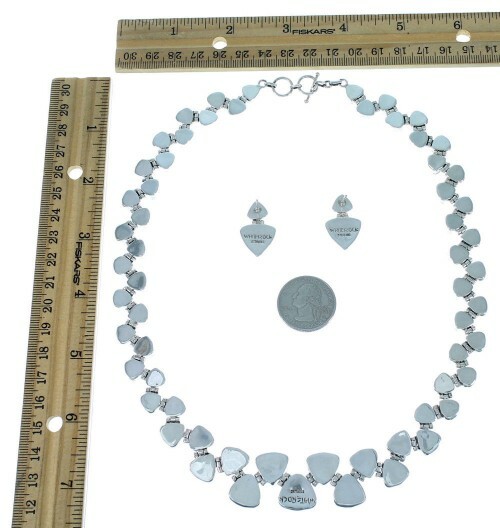 Necklace measures approximately 19-5/8" inside circumference (adjustable up to 20"), allowing the smaller links to measure approximately 3/8" long and 3/8" at widest point, while the largest center links measure 1/2" long and 1/2" at widest point. Necklace weighs 73 grams. Post dangle earrings measure approximately 1" long and 5/8" at widest point. 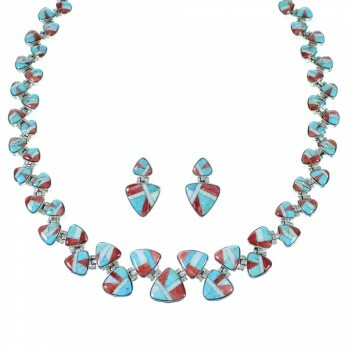 This set is a part of our exclusive WhiteRock collection, which is a beautiful selection of excellently designed jewelry. The jewelry is handmade out of genuine sterling silver and multicolor inlay using some of the best silversmiths and inlayers in the world. The stones used in every piece create some of the most incredible color combinations. Each is hand selected and is of the highest and best quality anywhere. 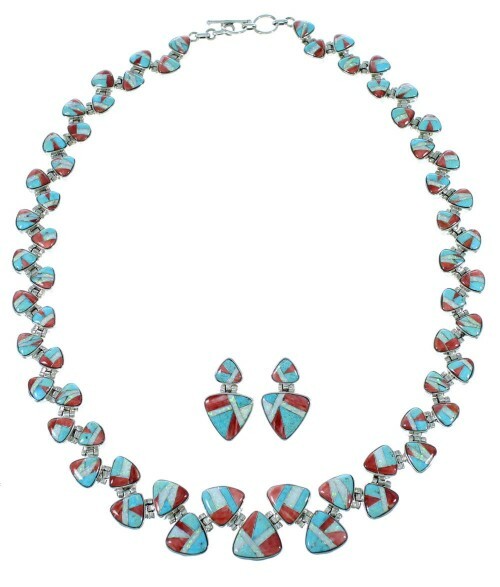 The inlay in this set is individually made and inlayed using stones which are hand cut and carefully set into place creating this absolutely incredible piece. 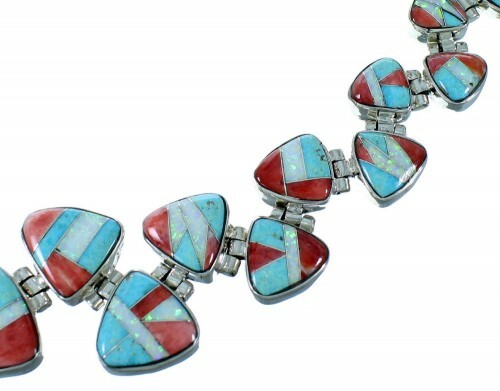 This stone inlay combination is called Wildfire* (See description below). The workmanship and detail are spectacular! The inlay is carefully set, while thin silver lines highlight in between for a gorgeous look. The links are finished off with a silver toggle and clasp. The set is stamped sterling and hallmarked. 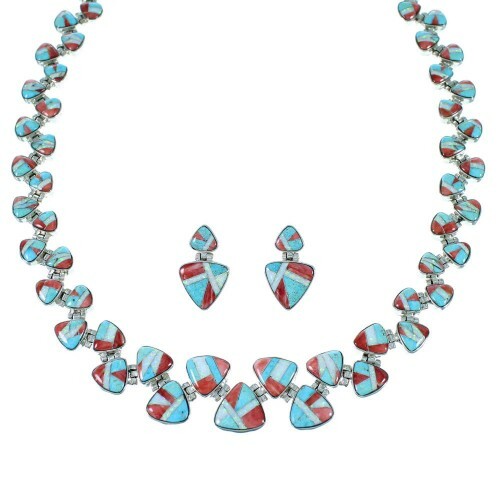 *Blue: The real stones that are used in different instances for blue are Sleeping Beauty Turquoise, Kingman Turquoise, and other high quality turquoise stones.